Pressure washing, also known as power washing, is a cleaning process used primarily on houses and other buildings, although it can be used on other surfaces such as concrete. 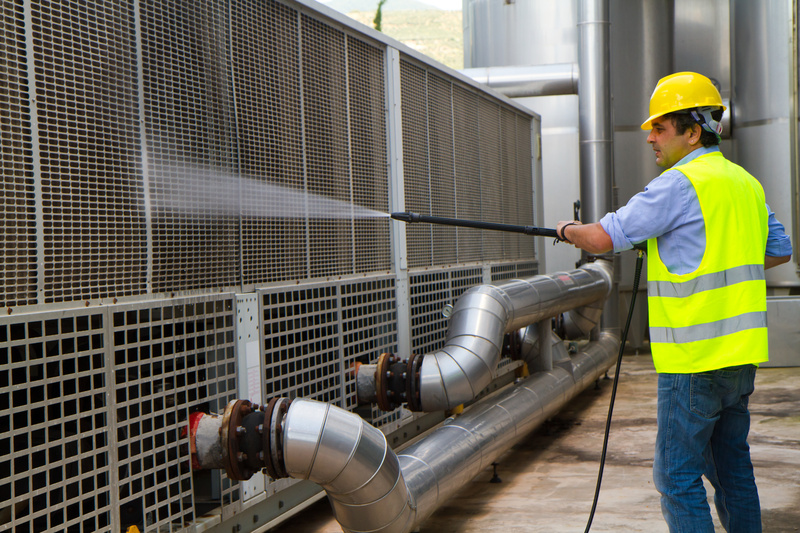 This washing process involves spraying the desired surface with a mechanical sprayer that shoots out water much faster and more powerfully than a regular hose. In some cases, however, soft water pressure washing is used along with a detergent to gently clean property. This can come in handy when cleaning something a little more delicate like a roof. As a homeowner, pressure washing your house is a smart decision which comes with many valuable benefits which range from increasing your home’s value to preventing roof rot. The history of cleaning agents runs back to ancient Babylonian culture. Soap like materials was evacuated from ancient Babylonian remains. The 4500-5000-year-old remains also have detailed description of making such materials. It is however not clear whether they used the fat and ash mixed material for cleaning purposes. Chinese used the fruit of the soap-nut tree (Sapindus Mukorossi) for cleaning soft silk clothes. The nut yielded a soap-like material, which thoroughly cleans the silk and is soft on the fabric. Soap making started in Europe in the seventh century. Soap making in Europe was mostly a family tradition and people kept the technique of soap making a secret. They used animal fat and plant oils to make soap. They also knew the technique of adding perfumes to the soap for fragrance. The soaps were used for bathing and laundry purposes. Italy, Spain, and France were the leaders in soap making. Large-scale soap manufacturing began in 1791, with the invention of a process of making soda ash from common salt by a French scientist Nicholas Leblanc. Several advancements came to Leblanc method of soap. The cost and time for making soda ash became lower. German scientists developed a method of making cleaning agents without plant oil or animal fat. This chemically synthesized material is called detergent. This is harsher than soap (that produced from fat and oil). This happened in 1916 when the availability of fat and oils was scarce. Utilization of enzymes for detergent manufacturing was a breakthrough in detergent manufacturing. A no enzyme content detergents too are available today, but the biggest thrust is on enzyme added detergents. There is however different environmental problems associated with the use of enzymes in detergents. Later researchers on cleaning products were concentrated on the safety of the users and environment, ease of use and lower production costs. Detergents and soaps are available as cakes, powder and in liquid form. Detergents that mix well in saline water are also readily available in the market. That is the history of stain removers, which started off as a mixture of fat and ash or plant products, which, with advancement in research facilities has grown to such high proportions that everyone today can afford to have a stain remover of his or her choice. As the pending winter knocks on our doorstep we are faced with many minor headways through our properties, But none are more annoying than the build up of mold in bathrooms and laundries. Last season was an exceptionally cold winter for us and the amount of heavily built up mold that I saw in bathrooms and laundries was at monumental levels. The crazy thing, it does not have to be! There are a few simple tricks to keeping mold from taking over your bathroom and potentially damaging paintwork (which could create bond issues for tenants) and more importantly health.